Metal Gear Survive PS4: A New Start For Konami's Series? Metal Gear Survive is an oddity. It’s a zombie-filled survival game masquerading as a Metal Gear game, and the internet is none too pleased. Much of that apprehension can be traced back to the gaping, Kojima-sized hole at the heart of Survive, as this is the first Metal Gear title to be developed since his high-profile and somewhat contentious departure from Konami in late 2015. In many ways, the subtitle is rather fitting in the sense that Metal Gear Survive, in all of its wacky glory, is arguably Konami’s way of gauging whether the franchise can, ahem, survive without Hideo Kojima, whose ingenuity and quirky sense of humour allowed Metal Gear to stand out from the pack for nigh on 30 years. Be that as it may, Survive stands as a bold, if risky new venture for the venerable series. But what is it, exactly? Built using the same robust Fox engine that rendered Metal Gear Solid V, Konami’s survival-focused spinoff follows a squadron of the Militaires Sans Frontières as they transcend all borders and get sucked into an alternate dimension. It’s a neat way to circumvent the notoriously dense Metal Gear lore, as Survive largely unfolds shortly after the events of Ground Zeroes and is therefore completely isolated from Big Boss and his poignant swan song. Gameplay-wise, it combines base-building and resource gathering for a horde mode that wouldn’t look out of place in a Gears of War title. Or even Call of Duty. Less tactical espionage action and more chaotic undead warfare. This is the Umbrella Corps of Metal Gear – a bizarre mishmash that doesn’t really slot into any one genre. The odd cousin of the family, if you will. Single player and Survive’s online cooperative mode are also intricacy connected – hence the always-online mandate – thereby allowing players to share online supplies, weapons and ammunition with the resources they gather in the game’s single-player mode…and vice versa. If The Phantom Pain was a near-perfect marriage of stealth and action, then Survive leans heavily on the latter and ditches the former entirely, as it dumps players into a world teeming with rabid, crystalline Wanderers. From there, your mission begins to incorporate elements of tower defence as you lay down chain-link fences and bipedal Walker Gears to help fend off the oncoming swarm. Konami also promises to roll out daily, weekly and special event Orders missions soon after launch, while the solo campaign is said to last anywhere between 10 and 15 hours. The result? A fairly robust package that appears to trade the depth and complexity of Metal Gear for some bright and breezy fun. But if Survive faces an uphill struggle from the off, then Konami is really doing it no favors. Along with the always-online construct, the studio’s forthcoming survival title will also bring microtranscations into the equation. It’s a virtual currency known as Boost Passes, one which offers those with more money than time the chance to acquire in-game currency that they would otherwise collect via scavenging. 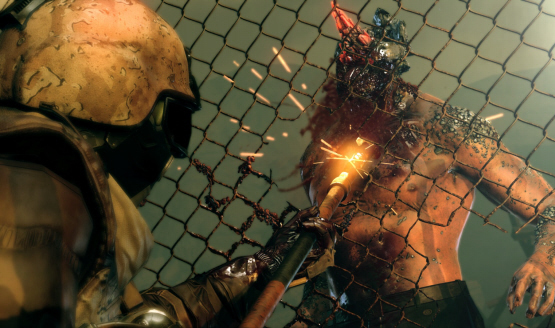 The always-online nature of Metal Gear Survive is seemingly Konami’s way of “supporting a seamless integration between single player and co-op,” while also delivering “ongoing content post-launch” in the weeks and months to come. That’s all well and good, but slapping microtranscations into a series like Metal Gear only lumps yet more pressure on a title that may well shape the future of MGS – for better or worse. Because without Hideo Kojima in the hot seat, it’s fair to say that players have grown skeptical of Konami as a whole, while one need only look to Dark Souls 2 and BioShock 2 for evidence of a game that somewhat lost its way without its creative director – Hidetaka Miyazaki and Ken Levine, respectively – pulling the strings. 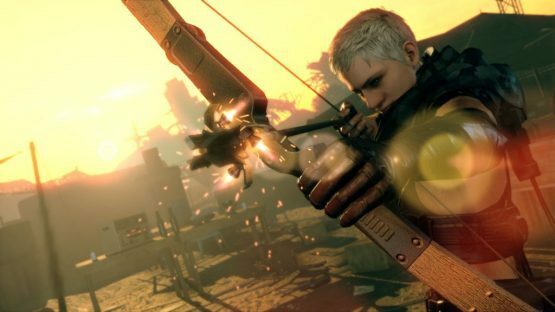 Will Metal Gear Survive succumb to a similar fate? I certainly hope not. My unashamed love for all things Metal Gear is no secret. I’ve parsed the franchise’s notoriously difficult lore into a semi-coherent history lesson (and lived to tell the tale) all the while dumping hours into the series’ lesser-known titles, such as Peace Walker and Portable Ops. Some of my fondest gaming memories have been forged from Metal Gear, be it wandering toward The Sorrow in Snake Eater or replaying every inch of the Tanker Chapter in anticipation of Sons of Liberty. It is truly that one series that I’ll defend with every breath, and the franchise I instinctively revert to when thinking about my all-time favorites. It’s also part of the reason why I monitor Death Stranding’s every move – every carefully crafted trailer. With that said, even I have called the necessity of Metal Gear Survive into question. No one really asked for this game, and that’s despite Konami’s vow to create more console titles in a post-Kojima era. I guess the question that people (myself included) are hung up on can be surmised as so: who is Metal Gear Survive for, exactly? Having played two-to-three hours of last month’s beta – for the record, a second testing phase begins today, February 16th – I can say with some confidence that Metal Gear Survive is a fun game. But it’s not Metal Gear. To play devil’s advocate, perhaps that’s for the best? By whisking players off into a wormhole, and therefore far away from the tactical espionage action we know and love, Survive is no longer encumbered by Metal Gear and its labyrinthine world of nano machines and the La Li Lu Le Lo. Instead, what you have is Konami’s attempt at a four-quadrant movie, which is to say that the company is gunning for mass-market appeal at the expense of Metal Gear’s signature style – that je ne sais quoi that has allowed it to push the envelope for generations. 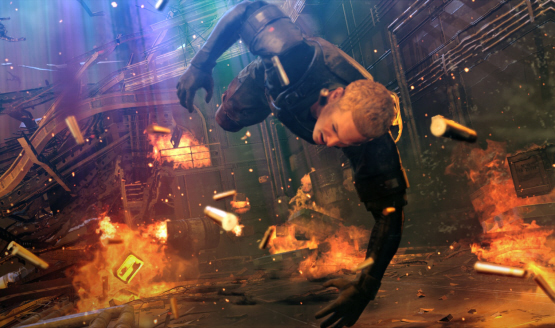 Metal Gear Survive breaks new ground – for better or worse – on February 20, with the second and final beta test expected to begin later today. The question, really, is do you expect Survive to herald a fresh start for Metal Gear as it begins to take its formative steps into a post-Kojima landscape? Or is this exactly what everyone fears: an uninspired cash grab that’s simply latched on to one of gaming’s biggest licenses? I’ll see you in the comments.